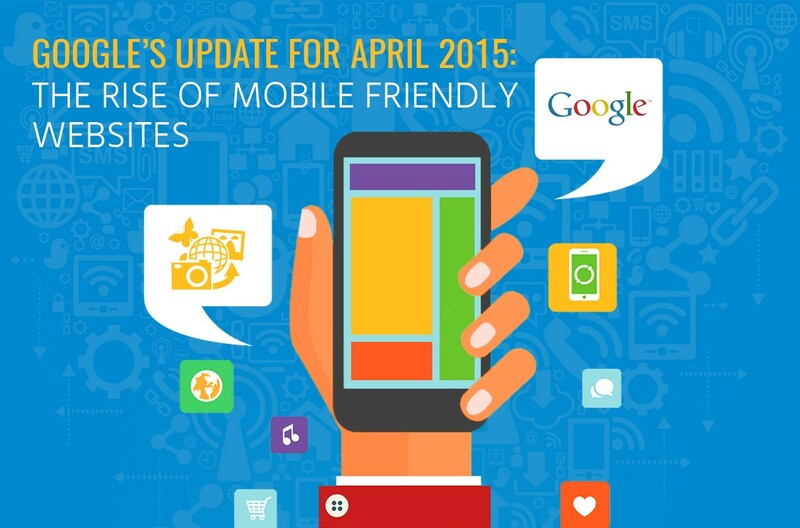 Google announced last February 2015 that they will include mobile-friendliness as a factor in determining rankings. Here is Google’s official statement: “Starting April 21, we will be expanding our use of mobile-friendliness as a ranking signal. This change will affect mobile searches in all languages worldwide and will have a significant impact on our search results.” If you haven’t read the entire update yet, we will break it down for you. 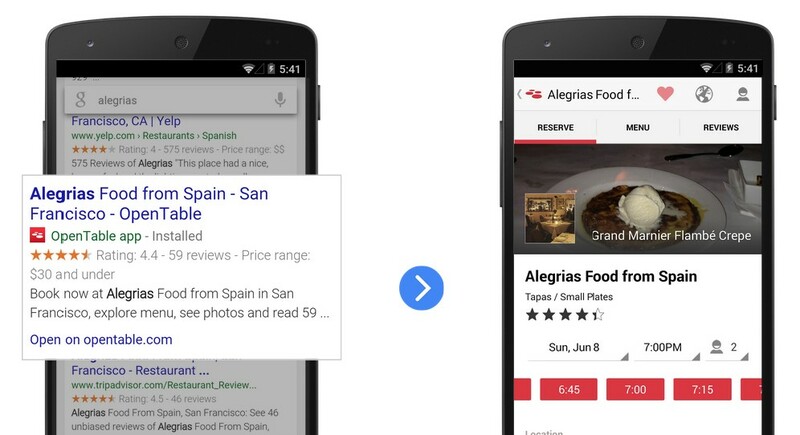 Google will begin to use the data gathered from indexed apps. These are mobile applications that are “indexed” by Google. There are series of steps that must be done for App Indexing. Google would show the apps alongside the search result. See below. If you want to learn how to index your app, Google has written a guide about it here. It will have a significant impact in our mobile search results. The point of this phrase is that Google will be penalizing sites that are not “mobile-friendly”. We do not know yet the real scope of the penalty, but we know that it would be big. During SMX Munich, Zineb from Google told the community that the penalty would be heavier than the former updates. Will the update hurt my desktop search results? No, the algorithm focuses on mobile search results. My mobile traffic is insignificant. Why should I make my site mobile-friendly? It is safer and wiser to make your site mobile friendly because smartphone mobile access is continually on the rise. Take a look at Rand Fishkin’s Moz.com. His mobile traffic only accounts for 1% of the visits. Yet, he is working to make his site mobile-friendly – a perfect example of “thinking ahead. We are only a few days away from Google’s update. Create a game plan, update your website, and do whatever you can to remain ahead of the competition. Need help on making a mobile-friendly website? This guide published by Google can help you. Internet marketing has been evolving for decades now. My experience as an Internet Marketer has not been smooth sailing. I started from scratch—I did not have the tools, and I did not know where to begin. I had to start somewhere, so I started with research. Then I stumbled upon social media websites, directories and forums. These websites jump-started my internet marketing ideas. The list I have come up with, is in order of importance and effectiveness. Each traffic generating website is rated and reviewed based on my own experience. These rates were based on the number of visitors, traffic generation, user experience, and its overall impact on internet marketing. A post containing photo(s) has the most +1, comments, and shares – averaging at more than 45 +1, 30 comments and 50 reshares per post. This translates to 149% more +1, 133% more comments and re-shares. There are more facts about Google+ like the engagement rate, proper ways to share content, boosting business on your page, etc. Those I would discuss on another part of my blog. Why Google+ is a favorite among Internet Marketers? We Internet Marketers are as “busy as a swarm of bees”. We want to share our information quickly as possible and Google knows that. Let’s say you have a video that you want to share, Google+ has an interface that allows the users to directly embed youtube videos, record and upload videos. This feature can save us valuable time. If we are posting on an average of 5 times a day, we would have saved at least 5 – 10 mins a day, imagine the amount of time we can save for the whole month? (150 – 300 mins). Google circle lets you add friends, colleagues, family members, and acquaintances and group them into circles. It function as a filter, it opts-out un-necessary sharing of posts. If you want to learn more about the circles, I suggest that you read Christine DeGraff’s in-depth guide on “mastering circles”. Registering your business in Google is another way of boosting your traffic. Login to www.google.com/business/, fill up the forms, and then wait for Google’s snail mail to arrive at your office. Once you have received the verification code, enter it on your My Business page and Voila! Free localized SEO, free placement on Google Maps, and free traffic. If you are looking for the best place to market yourself to your contacts, then here is your answer. Currently, Facebook is the most popular and the king of all social media websites. The data given to us by Facebook themselves says that, they have an estimate of 1.4 billion active monthly users, and 890 million daily logins. Let’s face it! Almost everyone has their own Facebook account. If you own a Facebook account, then it is a big plus. Why? If you have connections, your immediate contact would be aware of your business. Plus, your real life friends on Facebook can help you share your content. This is a good scenario for Start-ups. If for any reason that you don’t want to use your private profile for company’s marketing purposes, then you are free to create a Facebook Company page and do marketing from there. This separates “Personal Branding” from “Company Branding”. Facebook has ton of features for internet marketers. Facebook allows the creation of free company/business pages, a page wherein the company can share videos, banners, content, and links. The about section of the page can be filled up so that it shows complete information regarding the company. I suggest that you complete the information so that people can easily find and understand you. The apps section allows the user to link their other social media accounts. This feature links all of your related social media together. Facebook has tons of Advertising plans, see the list below: Take note that these plans are not for free. You must top-up Facebook credits into your account in order to use these schemes. I will write a brief description for you, but I suggest you read 45 Fabulous Facebook Advertising Tips & Magic Marketing Tips by Megan Marrs for a complete insight. This increases the visibility of a single post. The post is then shown randomly on the home-page of your target location, age bracket and language. This has the same function as “Boost your posts”. The only difference is that it promotes the Entire Page itself. This is a more costly alternative, based on my experience. The cost is 5x over. Attract more people to your website through this feature. A small box is shown next to the newsfeed section that includes your website’s photo, URL, and short description. Similar function with number 3, but instead of just going to a website, the link takes the visitors directly to a shopping cart, registration or check-out page. Do you have an Android/iOS app that you want to promote? Your app ad is placed on the homepage that contains a link for your app. An ad would be created that features your chosen event. The ad would be shown based on your target location, age, time, etc. These features would show your discounts, coupons, and promos directly to the newsfeed of your target audience. The link on the ad would take the viewer directly to the check-out page. Please do note that you do not have to spend money to Increase traffic through Facebook. You can obtain free organic traffic from having lots of connection, an enticing page, and amazing posts. Twitter is currently one of the “Big Dogs” in the social media world, and is most preferred by Internet Marketers alike. Twitter currently generates over 500 million tweets per day and around 200 billion a year. It is populated by over 100 million users daily. There are more out there. And I guarantee that most of them are extremely useful. Why is Twitter popular for Internet Marketers? Firstly, it is cleverly designed. It’s simple, intuitive, yet beautiful – a UI that children can use. Just compress your thoughts into a 140 character word post (Including spaces) then click tweet. How will my post be seen if I do not have enough followers? We all started from zero followers. People from Twitter tend to follow back, make sure that you follow people that are related or share interests in your field of work – I.E. you don’t want to follow people from “biology” when you are actually in the “mechanics” realm. Yes, they are both science subjects! But they are different and so have they have different kinds of people involved in them. You would be much more effective sticking to things more relevant to your industry. Finding a target audience in Twitter is easy. Just learn how to use the hashtag function efficiently and you’re good to go. The twitter hashtag function allows the user to broadcast and find ideas, thoughts, without having any follower. The link alone eats a lot of character spaces. Twitter has a feature that automatically shortens the link. It would reduce the link to an average of 10 characters. Alternatively, you can use external URL shortener sites such as Ow.ly, Bitly.com and Tinyurl.com. But the best practice is still to learn how to condense your content into bite-sizes. LinkedIn is a fairly old company, the site was launched way back in 2003 and was intended for professional networking. As of Feb 2015, the total number of LinkedIn users are at over 347 million users. LinkedIn is a “Business-to-Business” and a “resume site”, you must fill-up details like work experience, skills, honors, awards, certifications, etc. to receive maximum profile views. If you want to do Internet Marketing at LinkedIn, then a complete profile is a must. The main strategy in LinkedIn is to make connections, get high profile views, to endorse and be endorsed. How do you get connections? By joining and interacting with Groups. Unlike Twitter, Facebook and Google+, LinkedIn does not have a “@” or “#” feature. LinkedIn instead relies solely on Groups, a feature that allows users to interact with each other directly. Find a group that is relevant to your company. For example, in my work-field, I search for Internet Marketing Groups; join several of them; and be active in that community. What does a Group look like? You see a group is like a “Facebook Newsfeed”, it allows people to comment, like, and to follow the post. The only difference is, only your preferred news will be shown on your feed. My personal advice is that, it is better to look for a few active communities, rather than joining 20 groups and ending-up in these ghost-towns. There are groups that have thousands of members, but are populated with Spams and Advertisements. Everybody knows Youtube. It is a haven for videos, advertisements, and information. Youtube has over 1 billion users, localized to 70+ countries, available in 60+ languages, and is currently one of the most searched site on the internet. Creating a video for Internet Marketing can be costly and time-consuming. If you are working on a limited budget, then a simple slideshow with voice-overs can suffice. You may also utilize your old company launch videos, podcast, and livestreams. These are websites that can host your images, slides, pdf files, etc.. permanently (or until the site shuts down, who knows?!) . These media files have the potential to drive traffic into your website. Let’s look at some of these website. This website allows users to upload their Presentations, slides, and pdf files into the website for online viewing. Internet marketing experts say that Slideshare is the “Sleeping Giant of Content Marketing”. Why? Because it generates over 3 Billion Views per month –A number in which we as “Internet Marketers” could harness. Pinterest is one of the Underdogs of social media marketing. As it grows, there are 27 million unique visits daily and over 200 million views in total per day. How will Pinterest Help my marketing campaign? What is interesting about Pinterest is that they utilize the hashtag function, plus, they have no restrictions when it comes to image size. Meaning, that any image size is accommodated – this feature heavily benefits the promotion of infographic and banners. Pinterest also allows the user to insert hyperlinks into their images. The image above is uploaded by Mashable.com. Clicking on the image would take the visitor directly to their website. So basically, the formula for traffic generation from Pinterest is enticing image + hyperlink = Traffic. Digg is one of the popular websites in the internet. The website offers blogs, articles and videos – and is actually one of my favorites for my internet marketing campaigns. Second, submit the blog to Digg using this link: http://digg.com/tools/diggthis/confirm. Once the link has been submitted. Editors at Digg would analyze the article, categorize it, and then publish it. Digg has a wide range of categories, I am sure that it can cover your company as well. Digg have mobile applications for both Android and iOS – which is a must-have for marketing websites. One thing that I like about Reddit is that it is fairly easy to navigate. The website uses a simple URL format “/r/<insert community here>” for its subreddit communities. For example, if you want to target audience that is interested in “SEO”, then just use this URL format: www.reddit.com/r/seo . Reddit has a huge community, and most of the members are active, if your post is interesting, — it could generate a lot of reactions and activity. It has a very active community of users. In the image above, there were a lot of “thumbs up”, and there were over 800 comments within 3-4 hours after the single live post. If you want to promote yourself in Reddit, learn what interests your niche community, create some good content, post and then wait for the results. I hope I have been able to help you slightly with this information. 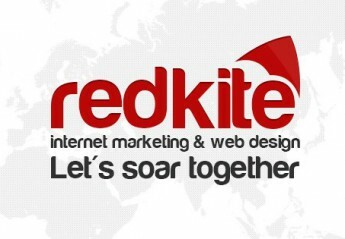 Remember you can always Contact RedKite Internet Marketing and Web Designs for more information on how you can take your marketing to the next level.